If you have been considering the thought of a home remodeling project for your home, the time to invest in this home improvement is now. With the sheer amount of time that we spend inside our homes, doesn’t it make sense to have the space suited to your personal needs and design tastes? When you contact the Palatine Remodeling Contractor specialists at Best Home Renovations, you are contacting the team that can take any home remodeling dream and make it into a reality. With the amount of time most homeowners and their families spend inside their homes, it is important to make sure that the interior of your home is an environment that you and your family can enjoy, but also one that allows you to express yourself creatively through your design choices. Remodeling your Palatine home presents you with the unique opportunity to customize your home’s design to one that you’ve always wanted to be able to enjoy or one that you feel just expresses your personal creativity better than your current one. If you’ve never had a home remodel done, there is a very real chance that you are living in a house with aspects that you’ve never been overly fond of. By investing in a home remodel, you have the perfect opportunity to take those rooms that you’ve always kind of felt stuck with, and transform them into something that makes your home feel more like it’s yours as opposed to whoever owned it previously. As a homeowner, there is no reason for you to be locked in to the design choices of a previous owner or choices that you have just outgrown in recent years. As your needs and tastes change, update your home to better suit them. The professional Palatine remodeling contractors at Best Home Renovations, your Chicago Remodeling Contractor, can help you transform your home into a space that truly suits you. Give us a call today to schedule your consultation. The kitchen is one of the busiest rooms in your home and acts as a focal point for your home’s design. A kitchen remodel can be a great way to add value to your home and to update your old kitchen space and get it functioning the way you would like it to. Our team of designer will help you come up with a design that maximizes your kitchen’s potential, helping you get the most functional space possible while still giving you the visual appeal that will leave your guests in awe. If you aren’t happy with the look and feel of your kitchen, give us a call today and let us help you revitalize it with a new design. 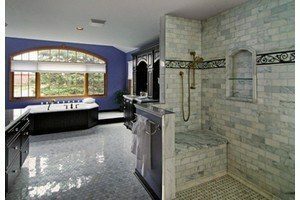 Next to the kitchen, the bathroom is one of the most used rooms in the home. It also plays a large part in how every homeowner starts their day, so why not make the space as enjoyable as possible? Bathroom remodeling is one of the most flexible remodeling projects you can undertake as a homeowner, and present you with a wide variety of options when it comes to deciding on an overall design. 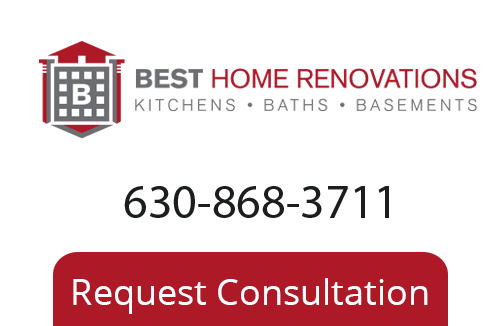 Our team of Palatine bathroom remodeling specialists at Best Home Renovations. can help you get the most out of your bathroom space and transform it into something wonderful. Whether you are looking for something classic and clean, or relaxing and spa-like, our team of professionals are up to the task. If you are in need of remodeling services in Palatine or the surrounding area, give us a call today at 630-868-3711 or fill out our online request form.